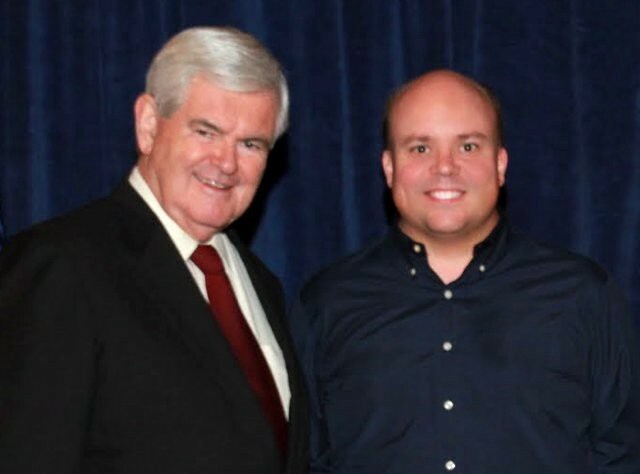 When I was in high school I was as a member of the Teenage Republicans (TARs) and I worked on Newt Gingrich’s campaign to secure the 6th District of Georgia’s Congressional seat. Since then I’ve been an outspoken conservative. When I was in my twenties I raised millions of dollars for my first startup, LayerOne, and as a result of selling the company I was able to bootstrap (self-fund) several subsequent startups (Architel, FanCast, Big in Japan). If you’re writing your own checks no one seems to care about your politics so it didn’t occur to me that my political affiliation could hold me back. Several years later, after selling my first venture-backed startup, I began sharing my political opinions in a blog I called “PoliticalMuse”. When Facebook and Twitter came around I began sharing my political opinions there as well. Then in 2008 my partners and I launched ShopSavvy, a mobile shopping application and it became apparent that we’d need to raise outside capital to take advantage of the opportunity. At one point we were invited to participate in a SharkTank-style startup competition at SXSW where we were pitted more than 25 other hot startups from around the country. We made it to the finals where I was responsible for the final pitch. 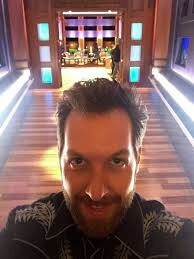 Billionaire investor Chris Sacca was the judge and he picked our company as the winner of the entertainment competition. You might know Chris from SharkTank. After our win Chris and I talked about him making an investment in ShopSavvy. From my perspective the conversation went well and he made a good case for why we should let him (crazy times) invest in the company. Ouch. I reached out a few times, but never heard back. Chris is a busy guy (so am I). But after that experience I decided to pull down my PoliticalMuse blog and stop posting my political posts on Twitter or Facebook. Subsequent to my ‘de-politicization’ we raised $5M from Facebook co-founder (and fellow billionaire) Eduardo Saverin. I’m 100% certain that Eduardo and I don’t share the same political beliefs. The reality is that if you’re a conservative tech entrepreneur in the United States you can’t afford to reveal your political affiliations. Just ask Brendan Eich. Brendan was the CEO of Mozilla/Firefox and he made a perfectly legal thousand dollar political donation to a ballot initiative to ban gay marriage in California. After the donation was made public Brendan was forced to resign as CEO of Mozilla. Really? You need to realize that almost ALL venture capital investors are registered Democrats. In the San Francisco Bay Area more than 89% of venture capital professionals are Democrats. Here in Dallas the situation isn’t much better. If you’re an up and coming entrepreneur who happens to be a fan of Teddy or Reagan you’re better off keeping your opinions to yourself. As for me? I’m back to sharing my opinions on Medium: https://medium.com/political-muse but most of my opinions are focused on cooking/eating: https://medium.com/sous-vide. Best of luck! Entrepreneur, Father, Equestrian, Advisor, Speaker, Forbes Contributor and author of the StartupMuse (Amazon) and host of the StartupMuse Podcast (iTunes).